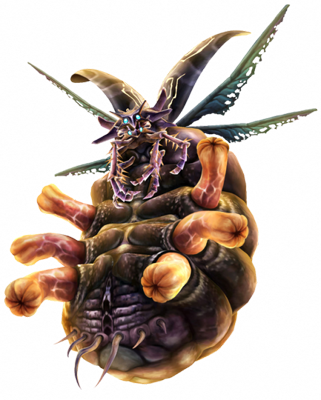 This is the beautiful Twilit Bloat, the giant bug you are fighting as a mini-boss in the Lake Hylia dungeon in Zelda TP. 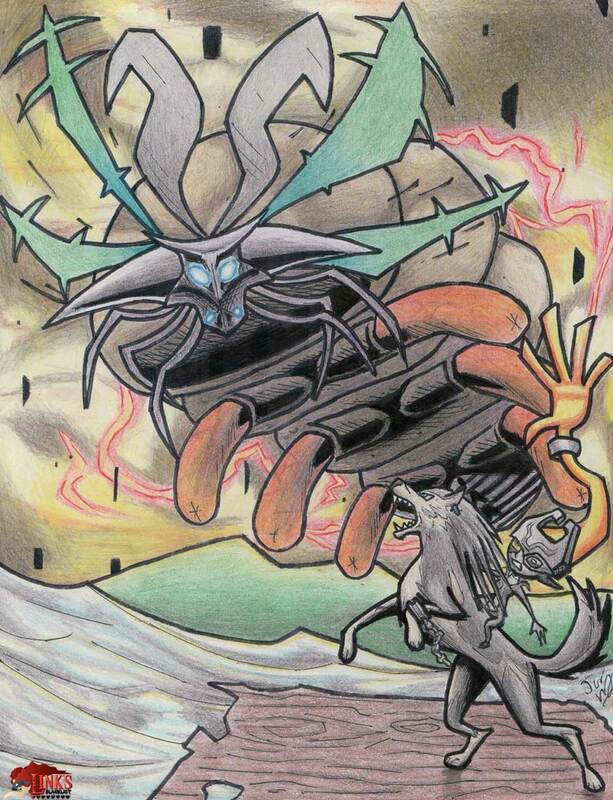 Our first submission of it was drawn with traditional tools 100% per hand on paper by Jarod Vickery from the USA as his 2nd submission to Link’s Blacklist Round III in June 2013. After its defeat, Link gets the last Tear of Light.